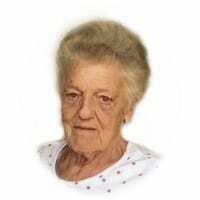 Mrs. Thelma C. Tipton age 78 of Blairsville died Wednesday October 31 at Union General with her loving family by her side. Thelma was born on March 29, 1940 to the late Arthur and Lassie Ferguson Clore. Thelma was preceded in death by her husband Delmar Tipton in 2008, three sisters, Regina Clore, Roena Flowers, & Sadie Garland. Mrs. Tipton was a member of the Owltown Church of God and loved spending time with family and preparing meals. Surviving Mrs. Tipton are son and daughter in law Roger and Vickie Tipton of Blairsville one daughter and son in law, Kriste and Jim Hughes of Akron Oh. step children Willie and Sabina Tipton Blue Ridge, Jennie and Glenn Lambert of Charleston, SC., Sandy and Nicky Nicholson Hiawassee, Kathy and Larry Seabolt, Blue Ridge , sisters Dot Messer of Blue Ridge, GA, Radie and Leonard Ware of Akron, OH., many grandchildren and great grand children ,also many nieces and nephews. Funeral services will be held at the Mountain View Funeral Home Chapel in Blairsville, GA on Saturday November 3rd, 2018 at 2:00pm with Rev. Roger Beck officiating. Special music will be presented by Dwayne & Sandy Carringer. Visitation will be held on Thursday from 6:00 to 8:00 and Friday evening from 5-9pm at the Mountain View Funeral Home Chapel. The following gentleman will serve as pallbearers; Donnie Price, Brian Ware, Ricky Cloer, Gary Flowers, David Garland, & Brandon Tipton. The family requests that in lieu of flowers, donations be made to help defray expenses.